Number of recipients will be determined by panel based on the submissions received. Recipients will be announced and recognized at the National Conference on Volunteering and Service (the Conference) June 18-20, 2012, in Chicago. Recipients will be guests of CNCS as conference attendees at the Conference. This prize includes conference registration, round trip air fare, lodging, ground transportation, and per diem. In the event that a team of people wins an award, they will be asked to select a representative to attend the Conference on behalf of the team. The Corporation for National and Community Service (CNCS) seeks to learn about important innovations using service to impact key issues. These best practices in solution driven service will help to further the agency’s mission while recognizing outstanding impact in communities accomplished through service and volunteering. 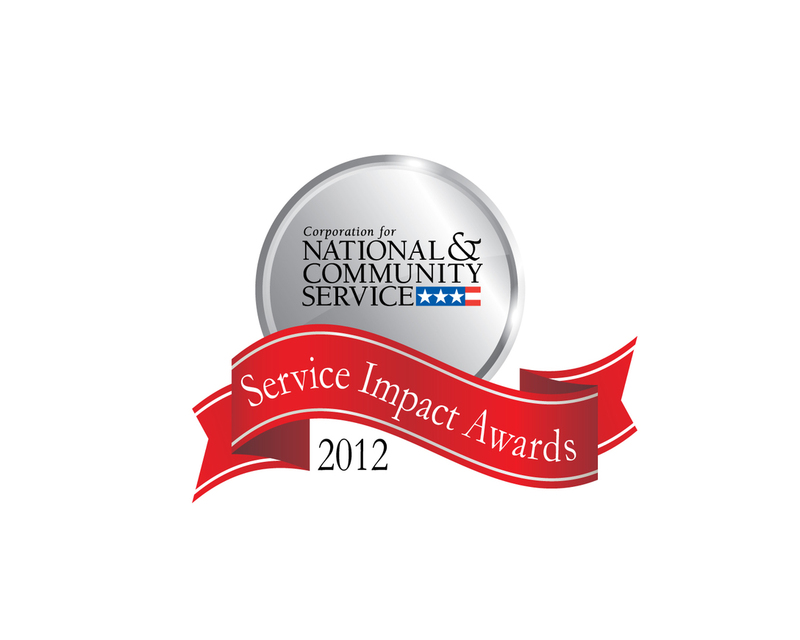 Specifically, CNCS seeks nominations for the “Service Impact” awards from grantees, strategic partners and service participants that exemplify the best in national and community service in the key issue areas of the Serve America Act and disaster services. Eligible nominees are current service participants and alumni, program directors or programs and initiatives funded through grants (or sub-grants) from the Corporation for National and Community Service. In the case of Learn and Serve America funded programs, this could also be a teacher, student, school, college or university, or school system. September 11th National Day of Service and Remembrance. Each nomination should specify from the Eligibility list above the program or initiative of CNCS with which it is affiliated. Additionally, the narrative should address how the service participant, project leader, or program is contributing to increased impact in disaster services, fostering economic opportunity, education, environmental stewardship, healthy futures, or assisting military families and/or veterans through innovative programming and/or best practices. Although nominees may address multiple issue areas in their service, they should select the primary focus and impact of their service in a single issue area for purposes of this nomination. Please clearly identify both the Issue Area you are addressing and the relevant CNCS program or initiative found under Eligibility as a header to your submission – for example Senior Corps; Veterans & Military Families, Wellness. *Within Veterans and Military Families please identify one of the following focus areas: Education (e.g. college school counselor programs for veterans and/or school-aged children of military members), or Employment (e.g. job placement and/or training programs for Veterans), or Wellness (e.g. behavioral health counselors for Veterans and military family members, programs that engage wounded warriors, service of Veterans at VA Hospitals). Nominees should select only one issue area and one program affiliation per submission. Submit a narrative of up to 500 words that clearly and concisely describes the impact of the nominee’s service and what best practice or innovation was employed. Ideally, the narrative may include evidence of the applicant's impact in the community, as well as evidence to support recognition of the applicant's work as innovative or best practice. For more information on the community impacts of specific interest to CNCS, please see pages 29 – 34 of CNCS’s strategic plan. Impact in the above issue areas could also include how the nominee is expanding opportunities to serve; building the capacity of individuals, nonprofits, and communities; and encouraging innovative approaches to solving problems. Submissions may also include photos and videos. Photos and videos should support the narrative submission and not replace it. Photos and video are encouraged as they are often very helpful in telling your complete story of impact, but photos and videos are optional. Your nomination will be considered complete without photos or video. Impact in issue areas including how the nominee is expanding opportunities to serve; building the capacity of individuals, nonprofits, and communities; and encouraging innovative approaches to solving problems.